The fanciful letters from 'Santa Claus' that J. R. R. Tolkien wrote to his children at Christmas time celebrate the wild imagination and creative vigor of the fantasy writer as he used his talents to entertain the young. Reprint. Every December an envelope bearing a stamp from the North Pole would arrive for J.R.R. Tolkienâs children. Inside would be a letter in a strange, spidery handwriting and a beautiful colored drawing or painting. The letters were from Father Christmas. They told wonderful tales of life at the North Pole: how the reindeer got loose and scattered presents all over the place; how the accident-prone North Polar Bear climbed the North Pole and fell through the roof of Father Christmasâs house into the dining room; how he broke the Moon into four pieces and made the Man in it fall into the back garden; how there were wars with the troublesome horde of goblins who lived in the caves beneath the house, and many more. No reader, young or old, can fail to be charmed by Tolkienâs inventiveness in this classic holiday treat. 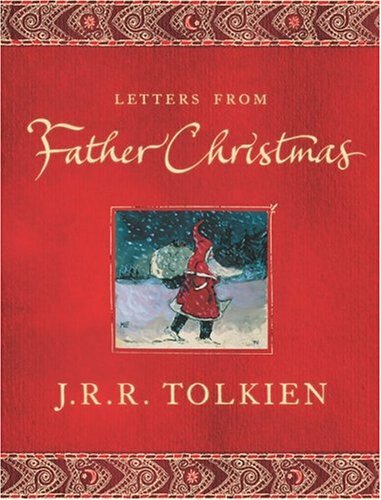 About: This revised edition of Tolkien's famous illustrated letters from 'Father Christmas' includes extracts and pictures not included in the original publication of 25 years ago. About: A collection of illustrated letters from Father Christmas recapping the activities of the preceding year at the North Pole, as written by the author to his children. About: A collection of illustrated letters from Father Christmas recapping the activities of the preceding year at the North Pole. About: Can you imagine writing to Father Christmas and actually getting a reply?